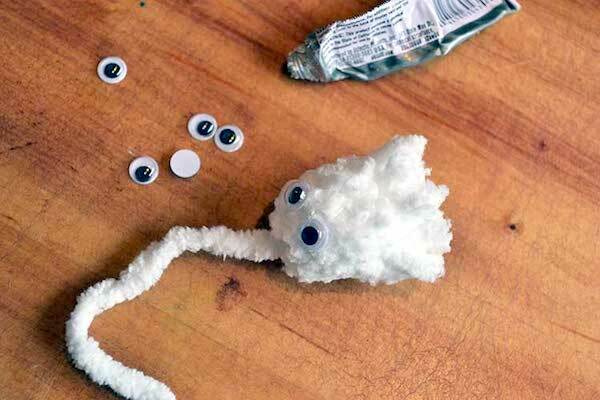 These delightful pom pom ghosts with googly eyes are the cutest of Halloween kids crafts – and so easy to make! Both adults and children will love them. 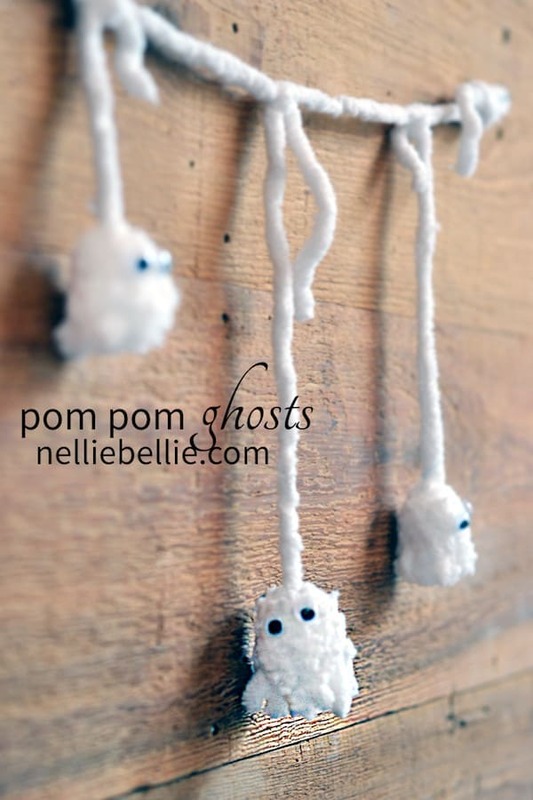 The adorableness of these little pom-pom ghosts is off the charts! And thankfully, this adorableness is easy to achieve. 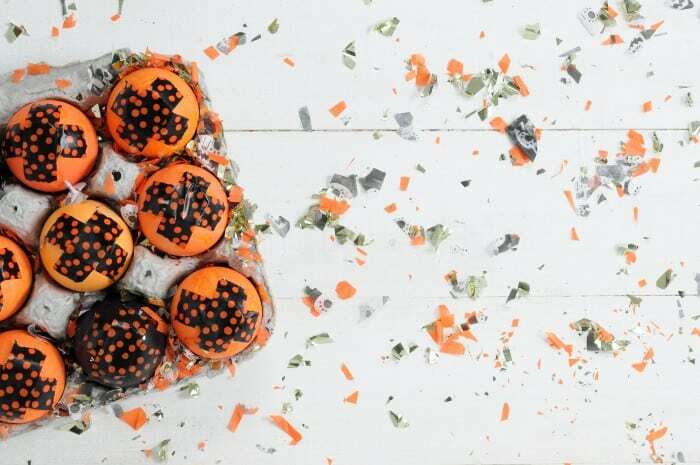 So you can make these and fill your home with Halloween kids crafts that make your guests ooh and aah! 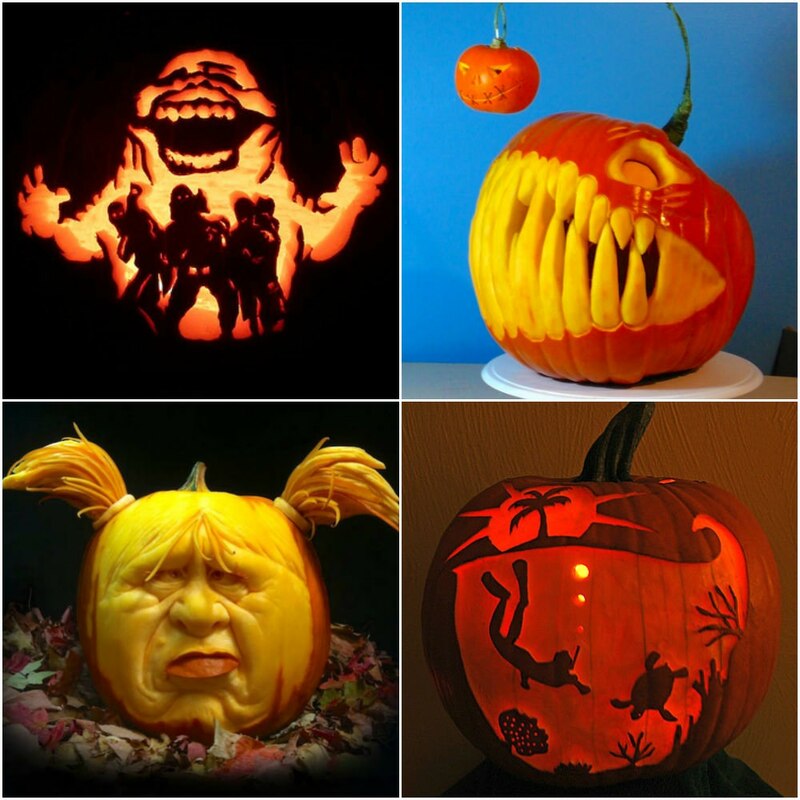 We know it’s only September and some of us aren’t quite ready to think about Halloween. 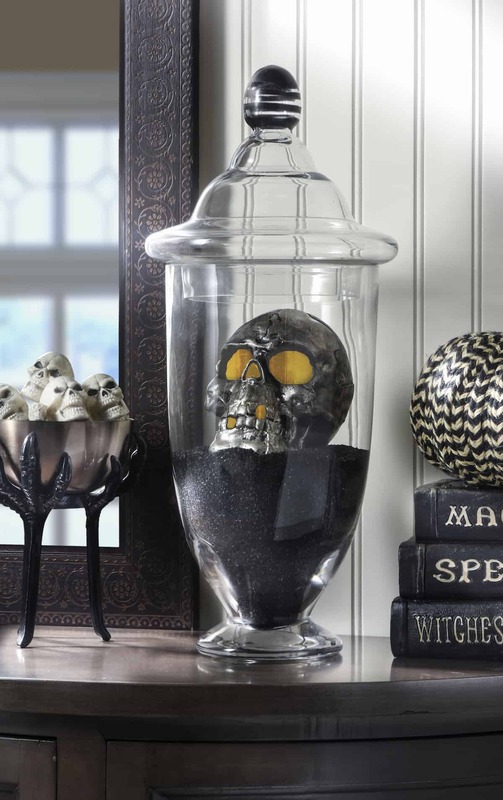 But we know there are those of you that love the spooky season and getting ready for it makes your heart happy. This little project is for you. The rest of us will store this project away and pull it out at the last moment, when we are ready to deal with the approaching winter (here in MN we try to ignore the impending cold and snow for as long as possible . . . yuck!). Your pom pom ghost starts out as a basic pom pom. 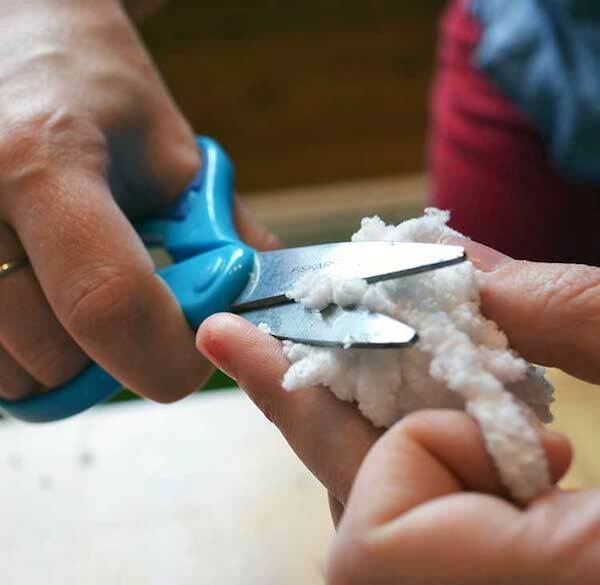 If you have never made a pom pom before we have the basic instructions. If you have, just skip to the step that begins the ghost creation (step 4). Step 1. 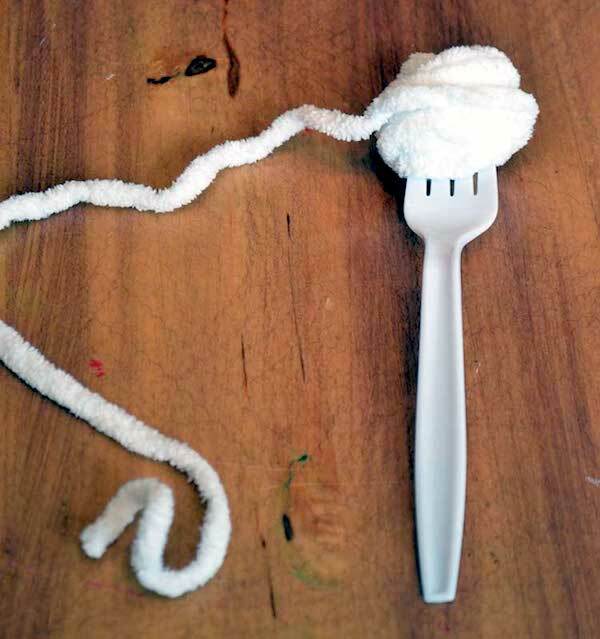 Tie an end of your yarn around a fork. Don’t cut the yarn from the skein until you are done with the remaining steps. Step 2. Wrap your yarn around and around the fork. Keep it fairly loose to make it easier for you to cut the loops later on. The more you wrap, the fluffier your pom-pom will be. When you have it to the size you would like go ahead and cut the yarn off the skein. 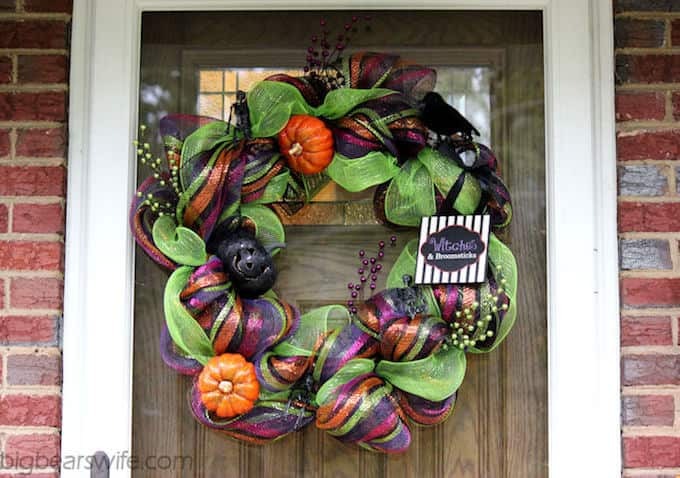 Note: if you would like to be able to hang these or use them for a garland leave a large bit of yarn on the end before cutting (see picture of ghost below). Step 3. 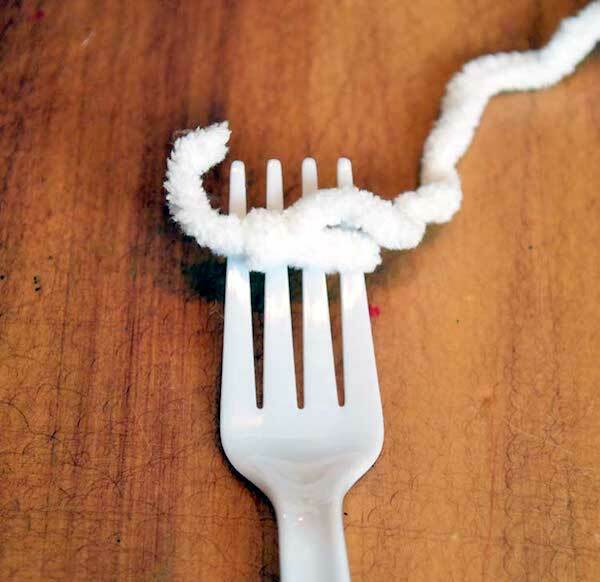 Carefully take your yarn off of the fork. 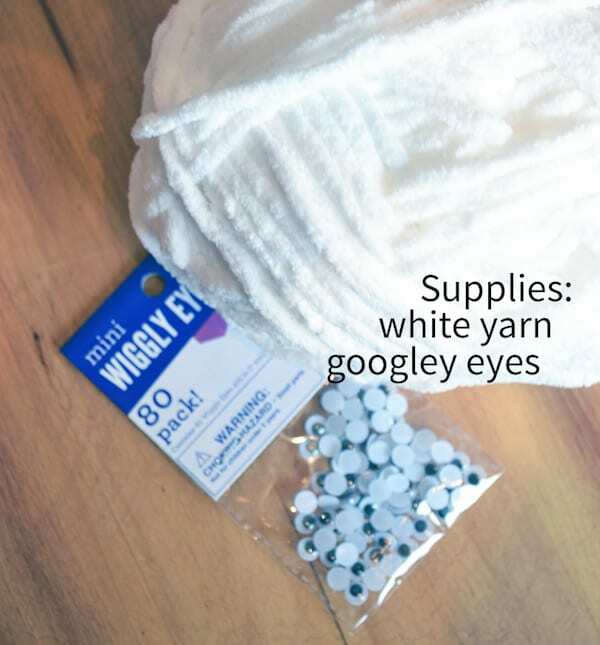 Use a small piece of yarn (start with about 6 inches, you can always cut off excess) and tie it tightly around your wrapped yarn. This will hold that yarn in place. Tie it tightly and as evenly as possible. Step 4. 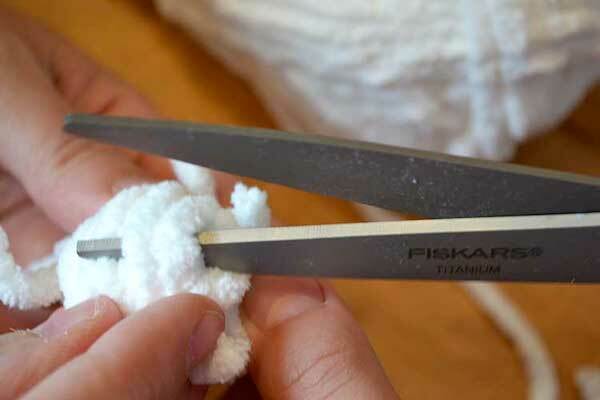 Being careful not to cut the piece of yarn in the center…cut the looped edges off of each end of your bundle. This will create your pom-pom. Feel free to trim it down a bit to make the puff even. Step 5. Now comes the part where we make the actual ghost shape. It’s quite easy. Shave the yarn off the top of the pom-pom rather closely. This is going to create the shape of the ghost. Shave all the way around. Keep shaving until you create the desired shape. Don’t be afraid when it seems you are cutting off a lot…you are. You need to. You’ll probably make a “test” ghost before you get it right. But once you do…it feels great! Step 6. After you achieve the shape you are looking for… glue on your google eyes. You could use a black Sharpie, if you like. 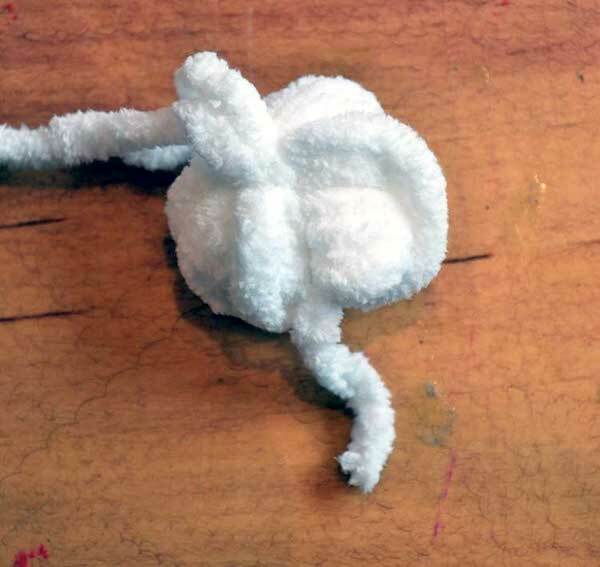 You now have a pom-pom ghost! We took it a step farther and attached several ghosts to a string of yarn to create a Ghost Garland. They are the cutest little ghosts that ever hung out on a string together . . . ever! Wishing you and your family a great spooky season full of fun, laughter, and adorable ghosts! Pop over to our NellieBellie facebook page and say hello, and let us know what your favorite family tradition is for this time of year. We love hearing from you!